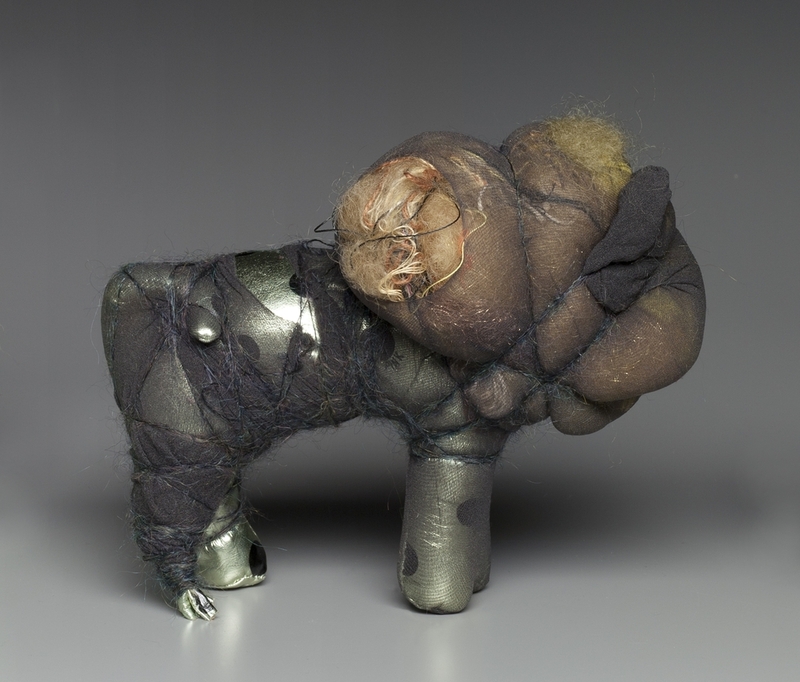 Colella's sculptures are decadent enigmas. 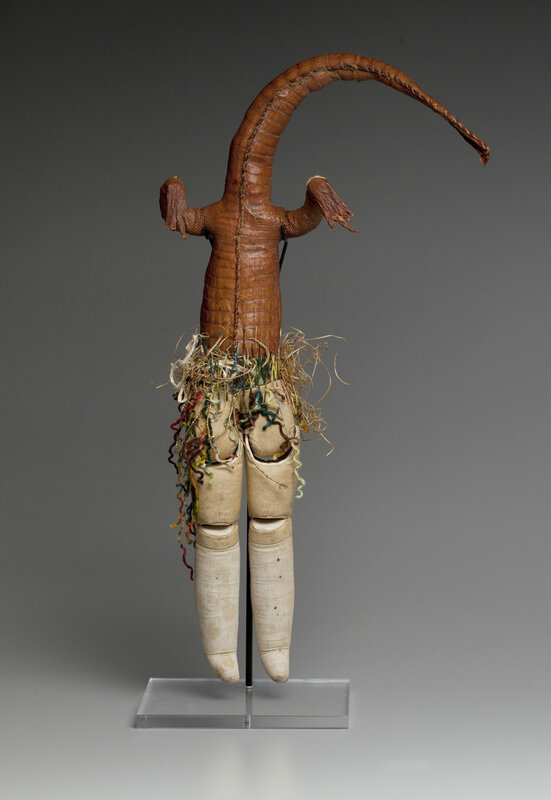 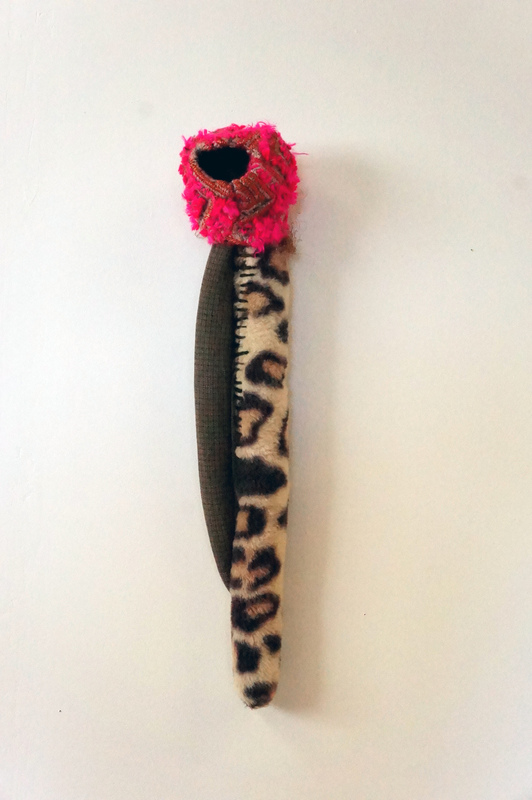 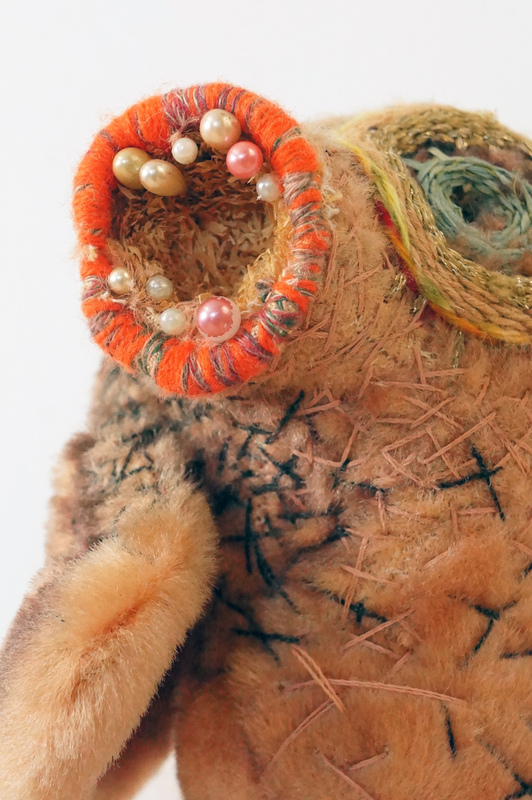 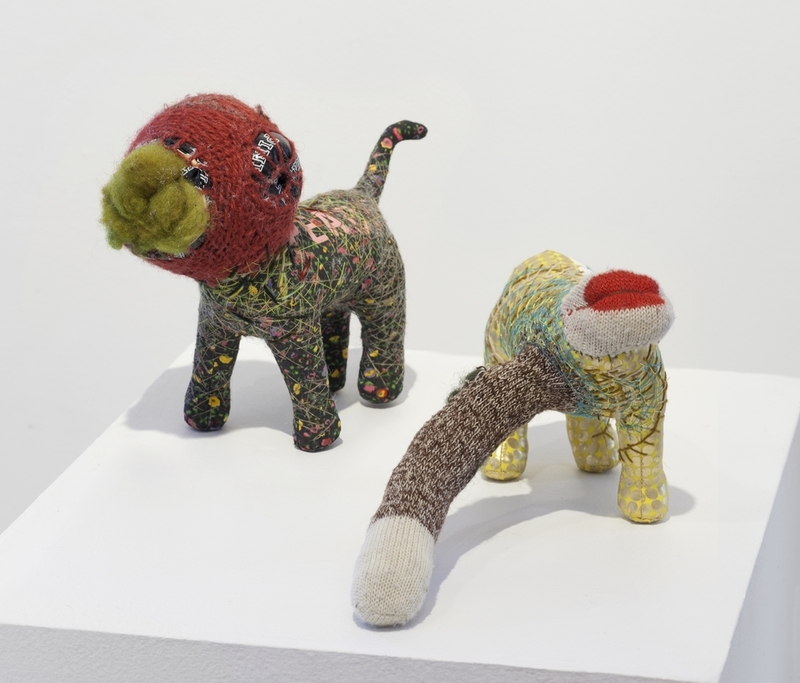 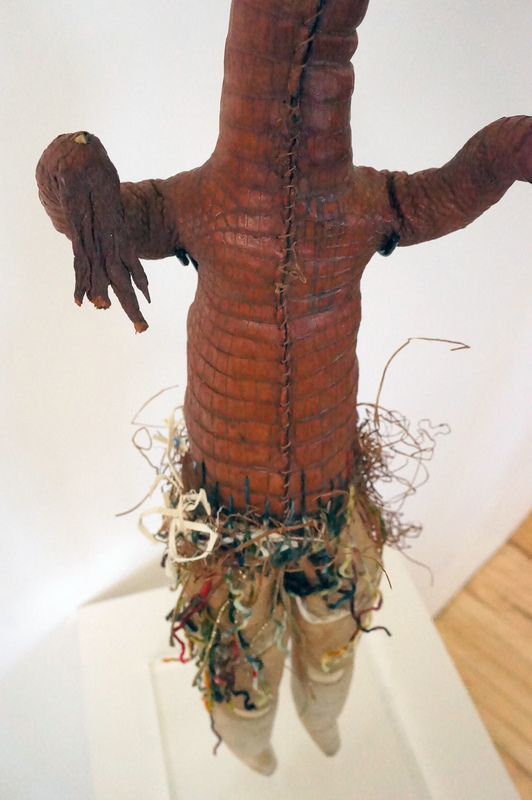 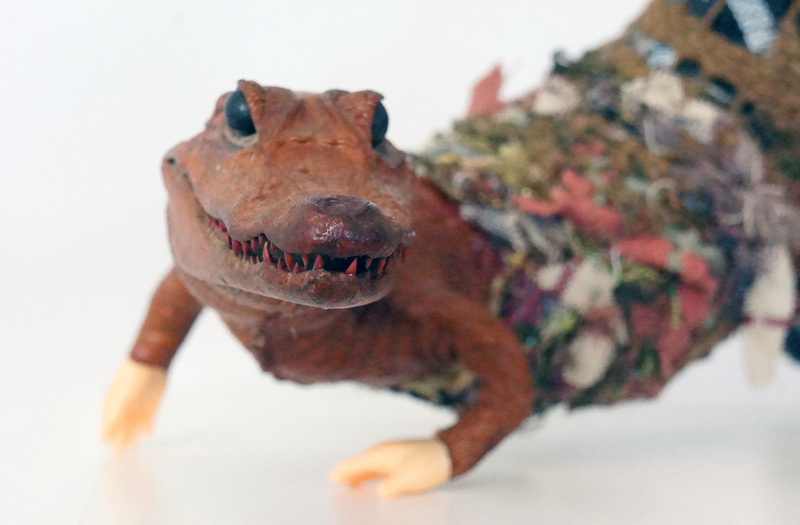 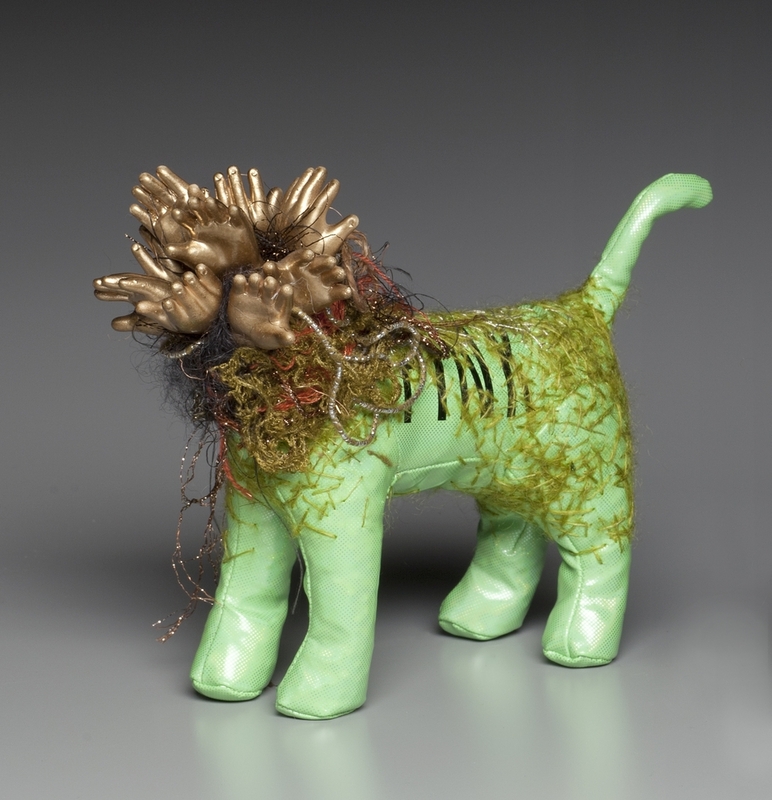 Vibrant and complex, their stuffed forms encapsulate both primitive and highly developed impulses. 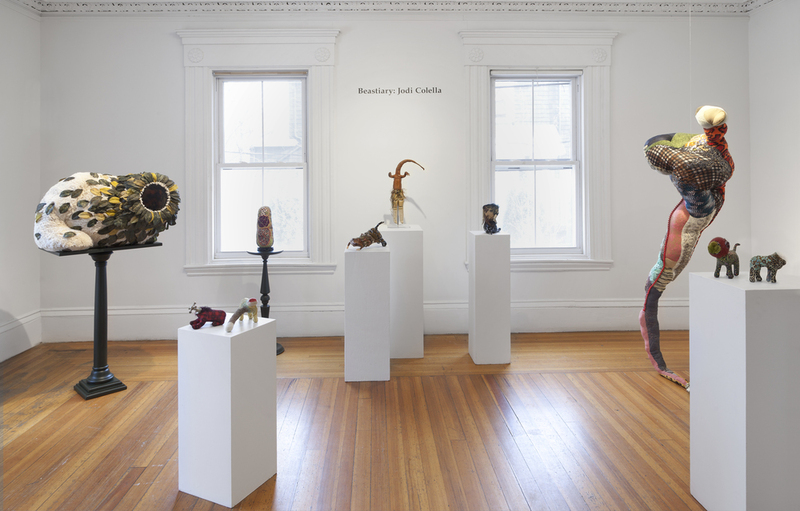 Like a cabinet of curiosities sprung to life, the sculptures' ornate surfaces possess a vivid tactility that appeals to the senses, while their sculpted forms have unpredictable and at times unsettling compositions. 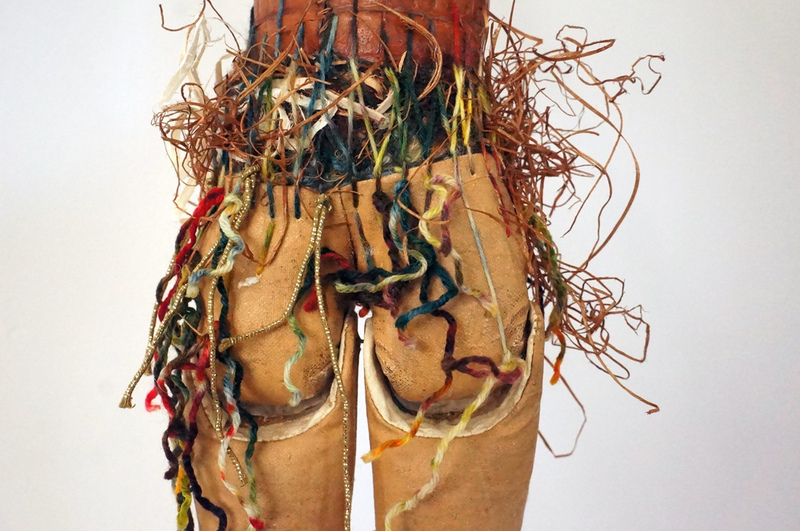 Their bulky, high-wrought forms allude to power figures, and their construction to shamanism, as though through their making Colella seeks essential truths about humanity, however uncomfortable the answers may be. 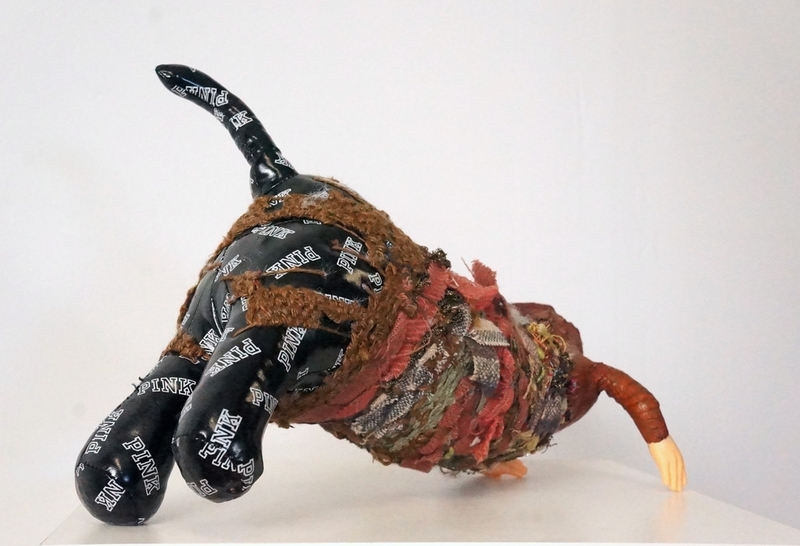 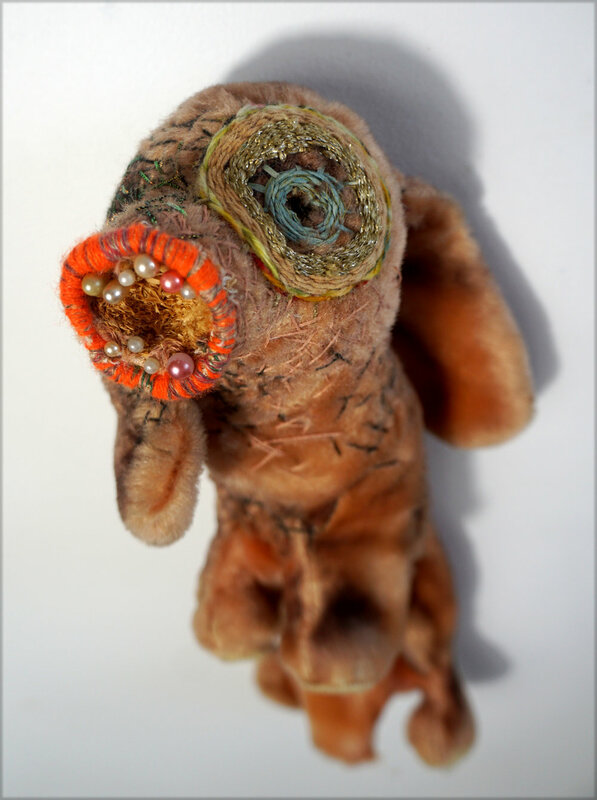 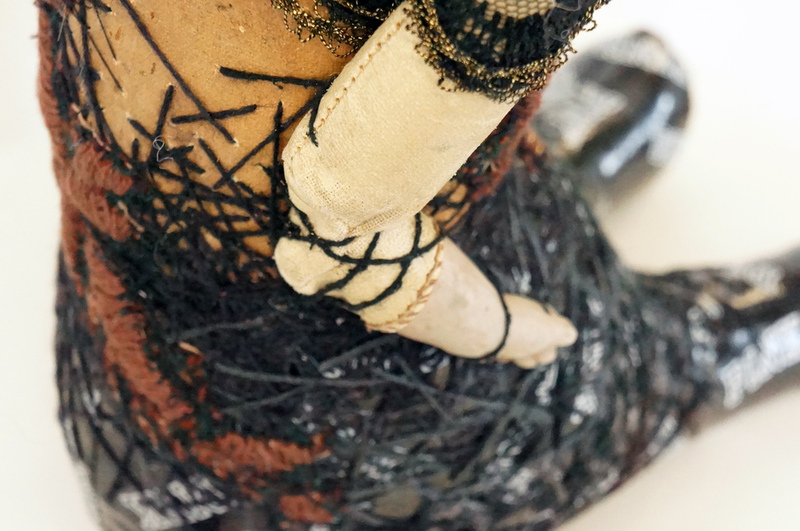 The Installation Nature of the Beast is comprised of stuffed dogs, distributed by Victoria Secret, that are reconstructed and combined with found objects to become surreal whimsical beasts – innocent toys tinged with a pinch of darkness.